LIVES OF THE HIVES; CORN AND PEACHES; TOM-AAHH-TOES! 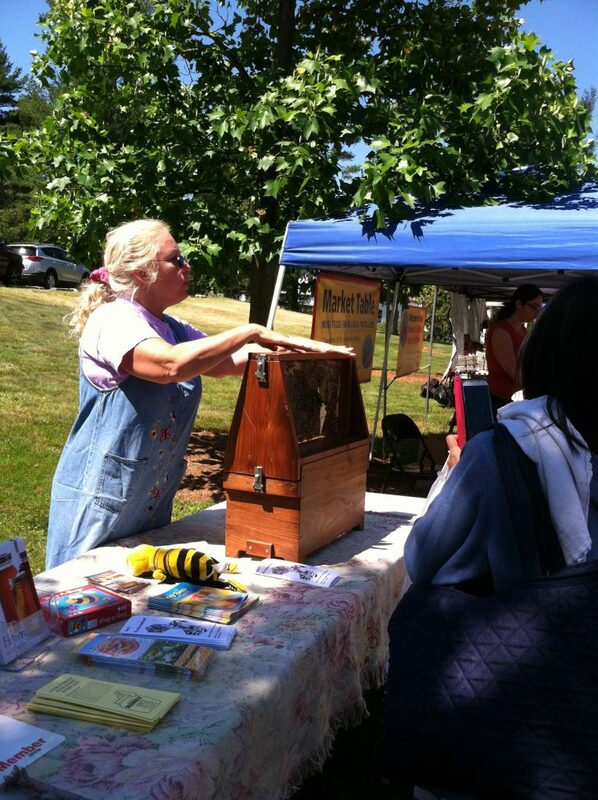 Beekeeper and market table honey supplier Celeste of Fruit Hill Apiaries will visit the market this Saturday with her model hive. Learn the fascinating facts about these industrious insects, and take a closer look at the usually-hidden activity of honey production. One of the farms where Fruit Hill hives are located is Barden Family Orchard, and this week they will have the epitome of summer fruit: peaches! The pollinators have done their work and the yellow treasures are finally ripe. Barden will also be bringing sweet corn, and more blueberries and blackberries. 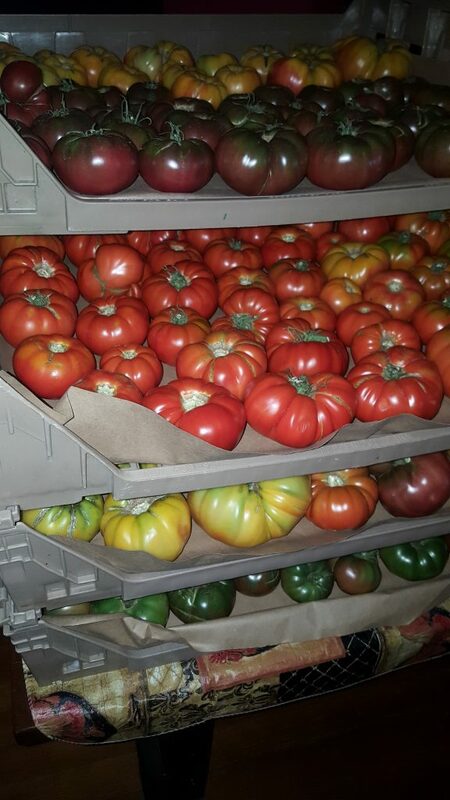 Farmer Chris of gC Farms sends this picture of the racks of big, juicy tomatoes he’s picking for the market on Saturday. Keep ’em coming!